Denver is one of those “destination” kind of towns. If you have family that lives out of state, sooner or later you can count on them paying a visit. Those chances increase if those family members are into skiing. Around the holidays, many Denver residents get the guests rooms ready. What shape is your guest room in? Even if you’re just putting down an air mattress, you still need the space. Junk King is standing by to provide fast junk pickup all through the holidays. When you call into Junk King to set up your junk pickup appointment, you’ll be asked two basic questions: What do you want to throw out and when do you want to throw it out? Junk King just needs a general idea of how much stuff you actually have to get rid of. That way they can determine how many team members and trucks to send over. There have been plenty of jobs where Junk King dispatched multiple teams and a fleet of trucks to get the junk hauled away. Usually, this is for a foreclosure cleanout or a hoarder type of situation. If you just have a decent size pile of junk, then the two-man Junk King crew ought to be able to handle the job. Deciding when you want your junk pickup appointment is up to you. Some folks need it right away as in, “Today!” Actually, that might not be a challenge for Junk King because they’ve always got a truck or two roaming the Denver area. If you need to schedule your appointment out by a couple of days, that won’t be an issue either. It’s all about your schedule. For the day of the appointment, Junk King requests a two-hour window of time. That will insure they can get from one job to the next without a problem. Once they show up, you’ll be amazed at how fast your junk can fly out the door. As for pricing, Junk King is only going to charge you an amount based on how much space your junk will occupy on the back of the truck. It’s a very affordable price when you consider that it includes all the labor, transportation, truck rental and dumping fees. Will your house be ready for the next guest? It will after you call Junk King. This entry was posted in Junk Pickup Denver and tagged Junk King, Junk Pickup, junk removal on December 24, 2014 by Paul Durant. Last updated August 1, 2017 . If there is one thing you can guarantee about the upcoming holiday it is that there will be a lot of homes with new televisions. Every year, electronics top the list of “most popular presents” with flatscreen televisions being the number one item sold in this category. You’ve probably already seen Black Friday stampedes for flatscreens. Now that the dust has settled on those bargains, you’ll still be able to find a great deal on a new TV. 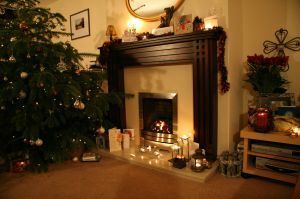 In fact, the closer you get to Christmas the more likely that the prices will drop. All of this means that you could be one of those homes enjoying a new TV. Instead of making it a surprise for Christmas, why not get it all hooked up before the 25th? That way the family can enjoy watching “A Christmas Story” in HD! For that to happen, you might first need to set up a TV disposal appointment with Junk King. 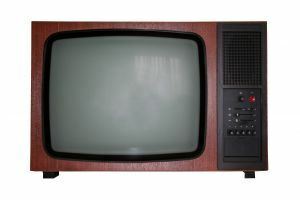 Chances are if you are getting your first flatscreen, then you’ve been watching TV on a clunker of a set. This would be something that is big and bulky and can’t simply be tossed out in the weekly garbage pickup. That’s where Junk King comes into play. They’ll send over a very capable moving crew and truck. That is pretty much all you need to take care of your TV disposal but you don’t have to stop there. Junk King can all remove all the rest of your household clutter in the same appointment. This is a golden opportunity to finally clean out the garage once and for all. With Junk King on the job, you only have to point to the items you want removed and they’ll handle the rest. Within a few moments, all your unwanted stuff will be removed from your home and loaded onto that big Junk King truck. Along with all the stuff you want taken away from the inside of your home, that same Junk King crew can take away any debris you have in your yards. That includes tree branches, leaves, pine needles, stones, dirt and sod. This might not be the best time for a landscaping makeover, but you can certainly get rid of a lot of yard waste. Start with an old TV disposal and end with a home that is free of clutter thanks to Junk King. This entry was posted in Denver TV Disposal and tagged Junk King, junk removal, old tv disposal on December 18, 2014 by Paul Durant. Last updated August 1, 2017 .